Purchase of the restaurant equipment is a process that does end in a single instance. This is the reason why the restaurant managers consistently put an effort into finding the right provider who can supply the Commercial restaurant equipment at a reasonable price. 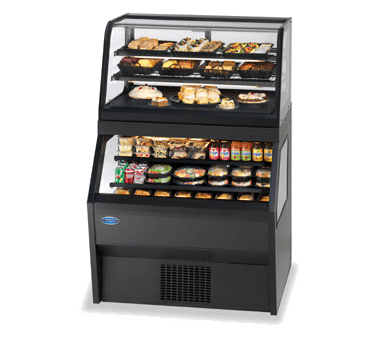 Chef's Deal is such a Commercial restaurant equipment supplier, which provides excellent restaurant supplies that are certified for their good quality. The best part is that the company does this at affordable prices thus making the long-term sustenance of the restaurant business possible. The company provides various offers while purchasing the products, such as various deals, sales as well as financing options. People can get the products at as low as 50% lesser prices or even more than this during the sales. The customers even do have to pay the shipping charges during the sales and get the product quickly delivered. They are able to sell at such low prices because they buy the products in bulk from the manufacturers. One can expect to get everything in this store, unlike other stores which specialize in a particular product category only, thus increasing the time to search other stores to get the other products. But Chef's Deal is the ultimate destination for new as well as used Commercial restaurant equipment that includes cookers, fridges and storage solutions, cutlery, tablecloths, tables, and seating.One can find about 100000 products in the store which are available in their latest models, thus making it the best choice if there has to be an upgradation done, without worrying about the budget. It has also various types and sizes of storage units which can be used for efficient management of the available space in the restaurants. Besides this, the experts are always available to help the customers of Chef's Deal regarding any ambiguity related to the product that arises after making the purchase.The installation services are also provided by the company so there is no need to contact any outside shop for getting the equipment installed. Chef's Deals also has used commercial restaurant equipment such as handy miners, requirements to maintain the warmth of the food etc. which can be purchased online or through the retail outlets.